Robin Ho Smartrade: Osim - Mid day reversal in price action downwards. Looks weak. 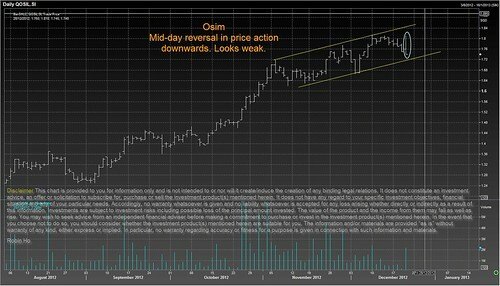 Osim - Mid day reversal in price action downwards. Looks weak.